What’s coming from Walt Disney Studios Motion Pictures in 2016? Guys, I can’t even BEGIN to tell you how excited I am for all the amazing movies that will be hitting theaters this year! 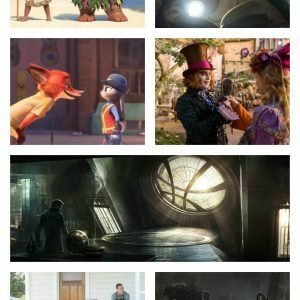 For those that are also wondering which 2016 Disney movies to look forward to, here’s the line-up….from hilarious comedies to dramas, superheros and giants! Click on each picture to see the trailer (if available yet) for each of these – there’s some FABULOUS ones! I’ll update with trailers as they become available, so make sure to check back! Guys, I love Star Wars. My hubby loves Star Wars and my kids are eagerly following suite. We’re fans at the core! 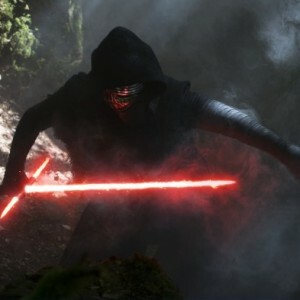 As such, here are My 5 Favorite Things about Star Wars: The Force Awakens! First of all, let me tell you WHY I have such a love for Star Wars. In a nutshell, it was my childhood! Growing up, Sunday afternoons, when my dad wasn’t at the station, were spent relaxing on our couch watching our favorite shows. Things like Teenage Mutant Ninja Turtles and Indiana Jones were frequent repeats, but none more so than Star Wars. So when I say my enjoyment of the whole Star Wars universe, products, shows and stories goes deep, it’s no exaggeration. Needless to say we’ve been counting down to Episode VII hitting theaters since it was announced! Note: there may be spoilers in here, as I feel there’s been plenty of time for most people to either have seen it, or read about it anyway. Guys, I LOVE this droid! I learned from this interview that the first idea of making BB-8 what he is came from JJ Abrams himself! The way he rolls around, the emotion shown from his half-sphere top, and just the spunky personality coming from the little guy really makes you fall in love with him. One of my twins, Iron Man, is head-over-heels with BB-8 and says he’s going to build himself one when he’s older because he’s ‘awesome and orange’! First of all, you’ve got GENERAL Leia Organa (played by Carrie Fisher). I’ve ALWAYS loved her – the character AND the actor! In the originals, she wasn’t some damsel in distress – yes, they rescued her, but who was it that was shooting more of the storm troopers and fighting right along the ‘big boys’ to escape? She was my hero! Now she’s back, and even more graceful and admirable than ever. What a strong woman to go from a princess up to a General – that’s leadership! I also notice that in the control room, there’s not may women besides Leia taking the lead, working right along the guys to save the universe. What a great role model! I’ve watched this in 3D and 2D, and I can tell you that the 3D is completely worth it! So natural-looking and beautiful, it really brings you into that world. They did amazing with the visuals – so many scenes that just capture your eyes and soul! I’ve always been a fan of the music, and Episode VII did NOT disappoint! One of my favorites is during the scene above when the weapon is revealed – talk about emotional! The battle and action scenes were MUCH better done than in Episodes 1-3, in my opinion. I think in those it was a bit TOO much, too unreal. These were totally believable and got your heart racing as if you were right there with them. Along with the visuals and music, I was so impressed with how they tied things together – to show you what I mean, let’s look at this example above of Kylo Ren. He’s a hot mess, powerful but not in control of his anger at all! He has a few hissy fits – such as the hilarious part where 2 storm troopers slowly back away as Ren trashes a room with his saber. His LIGHTSABER reflects his lack of control – it’s not completely contained, spatters a bit along the edges like it’s barely holding itself together. Such a perfect combination and reflection of Ren! I’ve heard many people complaining that too much was left unanswered – well, there’s 2 more movies coming out, so of course they need to leave you wondering! As much as I’m dying to know about some things, I’m eager to see how it all gets shown in the coming movies. Is Rey the daughter of Luke, or perhaps she’s Kylo Ren’s sister? Who was the old man at the beginning of the movie giving Po the map, saying he needs to make up for the past? These and more have kept my Hubby and I up late discussing the possibilities, and curious for the answers. So to me, I love the mystery….even though I look forward to the answer, too! Confession Time: I have a crush on Harrison Ford – always have, since his films were such a big part of my childhood! He’s such a gifted actor, as well as an all-around good human being. When he walked into the scene for the first time in this movie, I couldn’t help but squeal (yes, I’m sure I got many weird looks from other theater guests, but I really don’t care)! The humor Han Solo brings, without necessarily trying, just adds a whole other dimension to the films. This movie brought all sorts of new emotional turmoil into his life, trying to save his son, which was a new side to the Solo I remember – but I love him even more because of it! 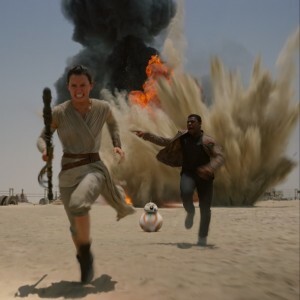 If you haven’t seen Star Wars: The Force Awakens yet, you’ve GOT to go. Now – like RIGHT NOW! In 3D, because remember – it’s so worth it! Guys, I can’t even begin to describe my excitement for Star Wars coming out this month – we’ve been counting down for so long, and I swear it’s more exciting than Christmas morning! To have a little fun while we’re all going crazy waiting, here’s a super fun Star Wars: The Force Awakens Activity Book you can print out! You’ve got pages of coloring sheets of favorite characters, a Millennium Falcon maze, door hangers, bookmarks, games and more! My kiddos are having a blast – and so am I, to be honest! I was able to attend an early showing for The Good Dinosaur to facilitate this post. All opinions are mine alone. My girl was so excited that I was taking her with me to an early showing the The Good Dinosaur, and we had a wonderful girl’s night at the movies! Now we brought the fun home for my boys, too, with this Good Dinosaur Advent Calendar, plus other free printable activity sets! I can’t wait to bring the whole family to see the movie and discuss facing our fears, just like Arlo! I admit it, I actually like crying at movies – and I do so very easily! Don’t get me wrong, I’m a huge lover of happy endings, but if there’s some emotional moments along the way that bring tears, then to me that means the movie touched me – which is a win! 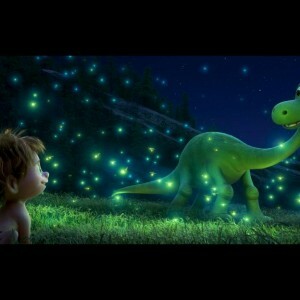 The Good Dinosaur was no exception – and there were a couple parts that had me crying! It’d be totally wrong for me not to mention the humor, as well, because this film is filled with it! This little boy, named Spot by his Dino Arlo, is like a little puppy – growling, tracking by scent, and being completely loyal. He’s adorable! He keeps Arlo, who became lost far from his family and is very frightful, safe during their journey. There’s a few minor jumpy parts that startled my girl, but nothing I’d be hesitant to take my little 4 year old to. The large message of the story is not only friendship and truly getting to know someone – the whole ‘don’t judge a book by it’s cover’ thing – but also about fear. Now, I’ll freely admit that I’m a fearful person, whether it’s by real dangers or my imagination getting away with me at night. The message this amazing story conveys, as put perfectly by Arlo’s Poppa, is “Sometimes you gotta get through your fears to see the beauty on the other side.” As Arlo and Spot learn, there’s so much beauty, and adventure, if you will face your fears. ….Arlo has many obstacles in his way in order for him to earn his ‘mark’ alongside the other members of his family. Will him and Spot find their way back to Arlo’s family? Or is there another path one of them must take? Go see The Good Dinosaur, in theaters now, to find out – and face YOUR fear to see the ‘beauty on the other side’! Who else has been eagerly awaiting the release of Inside Out? We certainly have – especially after seeing it in theaters a few times and absolutely loving it! 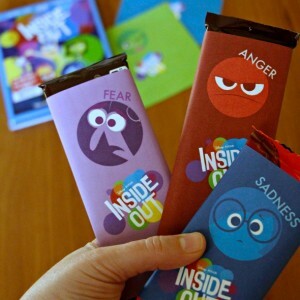 For our movie night once we nabbed the DVD/Blu-Ray, we wanted to really go all-out, including making these fun Inside Out Candy Bar Wrappers! Don’t worry, I’m sharing the free printables with you! We had so much fun with the fun wrappers – featuring the goofiest emotions ever: Joy, Fear, Disgust, Sadness and (or course) Anger! Swing by Target and grab the DVD/Blu-Ray, plus everything else you need for a fabulous movie night! And guess what? The Inside Out DVDs and Blue-Rays you get at Target have 20 minutes of EXCLUSIVE bonus content and deleted scenes included! I don’t want to spoil any – but you really need to check it out asap! Riley’s First Date, anyone? I love so many things about this movie – the laughter, the tears, and even the discussions it’s brought from our kids! It leaves a little bit for them to think about – what would my ‘islands’ be? Why do certain things make me feel that emotion? It even inspired this ‘Today I’m Feeling…’ printable I shared a few months ago. I made these Inside Out wrappers to fit a typical chocolate bar – but with space to cut them shorter for smaller bars, as well. They print 2 per page on an 8.5×11 sheet – don’t forget to have them in color, since that’s half the fun! Cut them out, fit them to the candy bars of your choice, tape closed, and enjoy! These would also make really fun gifts or party favors! Who’s YOUR favorite emotion/character from Inside Out? Get a sneak peak into our potential future – the good AND the bad – with the new Disney movie Tomorrowland. 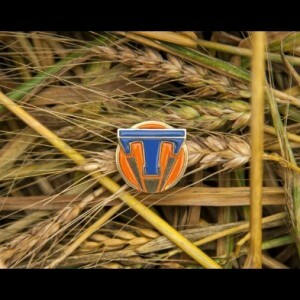 Jet packs, advanced robots and more, here’s 5 Reasons You Should See Tomorrowland! Plus some activity pages – woot woot! I was thrilled for the invite to see an early screening of Disney’s Tomorrowland, and was pleasantly surprised by the film – it actually wasn’t what I was expecting at all! I knew it would be fun, with things to make you think….but I left with such a great message from the movie that made me want to go change the world. Right then! Seriously, the way they depicted the potential future was not only beautiful, but also fun and exciting. The technology and advancements are things you can totally see coming about, and it makes you eager for them. Plus who wouldn’t want to fly around with jet packs?! I’m gonna try not to get too ‘fan girl’ here, but – come on – George Clooney! Although his character starts out a grumpy pessimist, it’s really interesting as you see him change along the way back to the ‘dreamer’ he once was. I can’t begin to describe how thrilled I was to see that Hugh Laurie was in this! I absolutely love him and his acting skills, although seeing him in a more ‘strict’ character was a bit shocking. He played his role splendidly though! I couldn’t help but wish I could re-watch the scene where they’re trying to escape Frank’s (Clooney’s) house over and over again! There’s so many little things in it, it’s impossible to catch it all in one shot. The fun little details they add to the robots, the booby traps and everything are just exciting! So this is me totally just speculating and not going on any type of facts, but I’m pretty positive Disney’s going to be tying some things from the film into their parks – I mean, it’s named Tomorrowland just like there, right?! So seeing the movie could, potentially, lead to some ‘oh I love that they included that’ or ‘I remember what that’s from’ moments down the road if/when they add things in. You know you’re going to be seeing this cute little pin around, that I can almost promise you! Like I said at the start, I was NOT expecting the message this movie gives. I really don’t want to spoil anything, so won’t give it away – but let’s just say it’s highly motivating for not only being optimistic and ‘dreaming’ more, but also working harder to make the world a better place. Not much better of a message you can get! Ready for some Free Printable Tomorrowland Activity Pages? As I snuggled up with Hubby watching a pre-viewing of Where Hope Grows, I expected to get some of the feels and a good message. I had no idea the wide range of emotions that would come as we watched! This amazing movie was such a touching story that I could connect with in many ways, and truly enjoyed seeing the characters as the progressed and overcame challenges. Here’s the way the new Where Hope Grows Movie Hits Home in such a wonderful, must-see way! To give you an idea, the story is about a man named Calvin Campbell, a single dad who turned to alcohol after being forced into early retirement for freezing at the plate as a pro baseball player. His 17-year-old daughter is ready to give up on him, and in her desperation for love and attention goes for a really big jerk. Neither of them expected that Produce, a local grocery store worker with Down Syndrome, would have such an important and moving influence on them to change turn their lives around! Produce is such an amazing guy with such a huge heart, facing a world full of challenges and people who don’t understand. This sweet mamma, Andrea, is raising the two most down-right fabulous kids ever! They both have different disabilities, pretty major, so their life is anything but easy. I can honestly say that these three are some of the most unbelievable caring, faithful people I’ve ever had the privilege to call my friends! Andrea’s boy is in the same grade as my Black Widow, so when we first moved here they really hit it off as great friends. What I loved the most was – I hadn’t met any of these guys, yet, and almost every day she’d come home from school talking about him, the fun they had, how sweet he was…..not once did she describe him in a way that made me think he had disabilities. NOT ONCE. It wasn’t until a school teacher pulled me aside one day, complimenting on how sweet my daughter was for her patience in helping him with his differences did I know. I was such a proud mama that my daughter could see past any differences and just have a true love for her friend! This is some of what Calvin learns to deal with as he befriends Produce in the movie – others don’t understand. Luckily, Calvin learns to love him deeply for the sweet friend he is, and the life lessons that he learns from this unlikely teacher. After I finally met Andrea and her kiddos, we became amazing friends and I can’t say enough how much I love and care for every one of them. About a year ago, I invited her to bring them to a neighborhood play date at the park – she was shocked. When she told me that they pretty much never get invited to things like that because of the kids’ disabilities, it broke my heart! After leaving her house, I had to sit in the car a bit and just cry. Okay, totally let the feels get me as I’m writing this and I’m now sitting here at the computer crying. Woah! This movie really delivers a meaningful message, and includes humor along the way – so don’t worry, you’ll laugh, too! Where Hope Grows hits theaters 05/15 so check your local theater for showtimes! Hubby and I got to attend an early screening for the new Avengers movie, and I was a tad worried because I had such high expectations for it. I was totally BLOWN AWAY by how awesome it was – and it’s now my new favorite! We loved it so much, we took the whole family on opening night. You can get YOUR family involved with the Marvel fun with these Avengers: Age of Ultron Coloring Sheets and Memory Game! Any of you regulars here at Busy Mom’s Helper know what HUGE superhero fans we are, so it’s no surprise that when I told Hubby that we were invited to see the show early, he pretty much did a happy dance! We’ve been anticipating this for so long – and are even tracking for the next 4 years of scheduled Marvel movies. It’s gonna be GREAT! Anywho….I loved the humor they add into these movies, and it starts right at the beginning all the way through. It doesn’t distract from the action or seriousness, but adds so much. I really enjoyed learning more about many of the heros’ pasts, such as Hawkeye and Black Widow. I never would’ve guessed Hawkeye’s ‘real life’ – and although I did like him just fine before this, now I have an entirely new understanding of him and his personality, priorities and commitment to the team. Also, there’s chemistry going on between Black Widow and Bruce Banner, which really brings a whole new dimension to explore! I knew from the previews (which we watched way more times than I should admit) that Ultron was going to be super-cool, with an amazing amount of detail – but I had no idea the personality they’d be able to show with him! When a highly intelligent, evil-as-they-come robot can make you laugh out loud, you know it’s a must-see movie! My kiddos were anxious to see the Hulk Buster in this, since it gives clips during the previews, and Joss Whedon didn’t disappoint at all! The CG, the action, the highly loved humor was all included in this show-down between Iron Man and The Hulk. 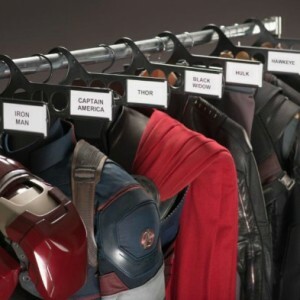 There’s plenty of new characters added, which makes it even more exciting and nerve-racking waiting for the coming movies! You’ve got Scarlet Witch and Quicksilver, referred to as ‘The Twins’ during this film. ‘He’s fast and she’s weird’, as Agent Hill so eloquently described them. Their personal stories and actions during the film really help add to it. I really enjoyed the interactions between Hawkeye and Quicksilver! You also get The Vision! I practically squealed out loud when he came around, and I’m seriously in admiration of actor Paul Bettany for his amazing performance! There’s still the original crew, fabulous as ever! It’s always nice to have a bit of Godly eye-candy, so here you go…. You’re welcome. Even though I hear there’s lots of people upset by the role of Black Widow in this, I personally believe that it was incredible, showing her as such a strong individual – perhaps even more so than her fellow Avengers because she has no ‘extra powers’! Even though her showing more emotion than is typical for her character may upset some, I loved that it showed she still had feelings and wanted relationships. Scarlett Johansson has been, and still is, one of my favorite actresses – and my daughter’s role model! Even after seeing it twice in three days, I was even more in love with this film the second time than the first – and can’t wait to see it AGAIN! I’m truly looking forward to more upcoming Marvel movies….just keeping my fingers crossed Wasp comes into play at some point (that’s my superhero in my family)! This year, our family is really excited about May the fourth! In the past it’s been mostly hubby and I, but now that the kids watch Star Wars Rebels and even a couple of the original movies, they’re totally into it! We have some fun plans, including neat crafts and activities. 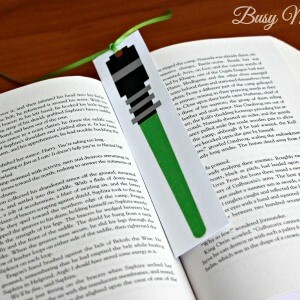 In the meantime, I thought it’d be fun to share these Star Wars Lightsaber Bookmarks with y’all! My daughter, equally as much of a Star Wars nut, is putting her Lightsaber bookmark to great use with her chapter books. She’s such a reader – and I’m so glad! The pdf prints perfectly onto an 8.5 x 11 sheet of cardstock (or whatever paper you’re wanting to use). There’s 4 bookmarks each in a different color: green, red, blue and yellow. I punched holes and added ribbon to the end of mine. Did you catch the awesome Free Printable Star Wars Activity Book that my contributor Keri shared a bit ago? If not, go check it out HERE for more May the Fourth fun! How does YOUR family celebrate May the Fourth? With our lives being so busy, we make it a priority to ‘freeze’ for some quality, family time. 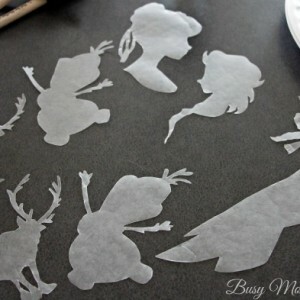 We love doing fun projects together, especially when it’s themed after some of our favorite things…like Disney movies! Last weekend we loved spending time together creating these fabulous DIY Frozen Shirts as a family. We thought it would be a lot of fun, when our shirts were dried and able to be worn, to not only WEAR some Disney Frozen fun…but also to EAT some! My kiddos were so excited that Campbell Soup Company has introduced a new label for its popular Campbell’s® Condensed Soup. It now features Anna and Elsa – some of our family’s favorites! Priced at $1.79 per 10.5 oz. can, they’re available now in the soup aisle of grocery retailers and wholesale clubs nationwide! With every delish, warm bite, we had fun naming the shapes of the Disney Princesses, a castle…even a carriage and more. It sparked some really fun conversations about great family memories with our beloved movies and characters, making our meal time all the more fabulous! Let’s get on with our Frozen Shirts, shall we? Print off the stencils above. Trace onto cardstock or wax paper (I prefer wax paper because it sticks a bit to the shirt, making the edges nicer). 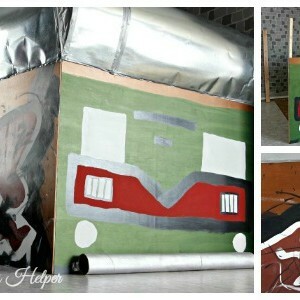 Place a piece of cardboard under where you’ll be painting. This will prevent the paint from soaking through to the other side of your shirt. Place your Frozen silhouette where you want it on your shirt. Carefully dab paint around the stencil. Decorate around with other colors and designs, if you wish! Peel up the stencil and allow your shirt to fully dry. That’s it! Now you can show off your Frozen-lovin’ with these awesome shirts! 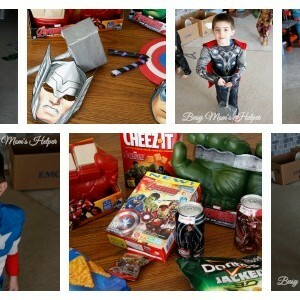 The kids had so much fun decorating it themselves (with a little supervision, of course). Which character would YOU choose for your awesome Frozen Shirt?